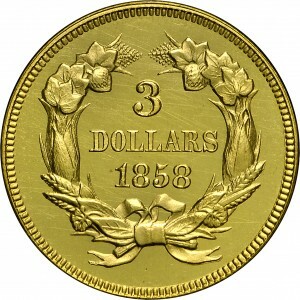 As a date, this coinage issue is quite scarce, from a mintage of just 2,133 coins. 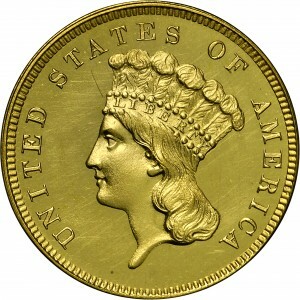 The typical circulation-strike survivor grades Extremely Fine, and very few remain in existence. 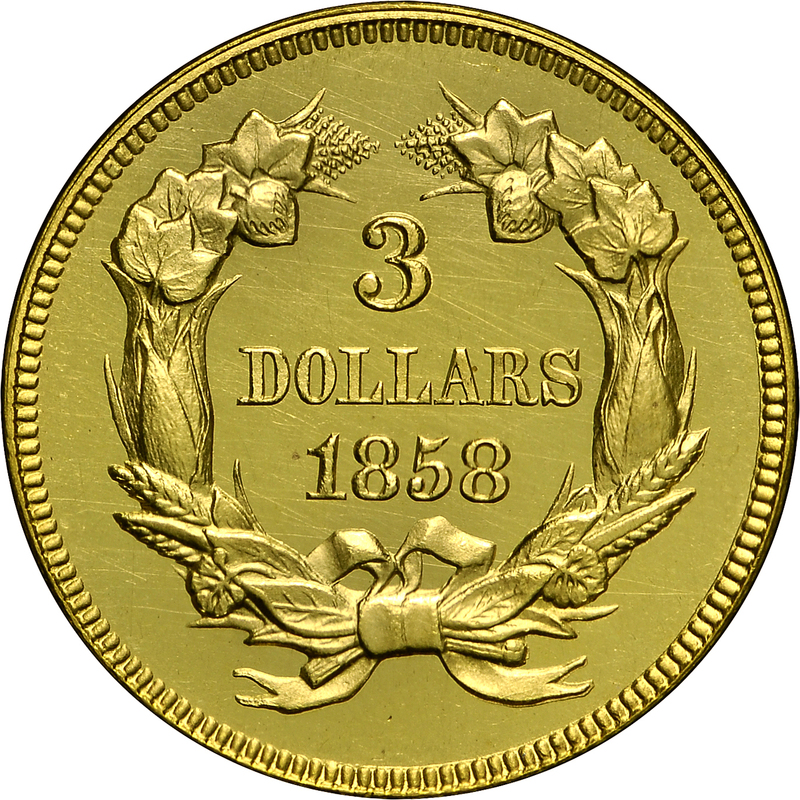 This gem Proof continues the pattern of incredible Proof three-dollar gold coins collected by Harry Bass. 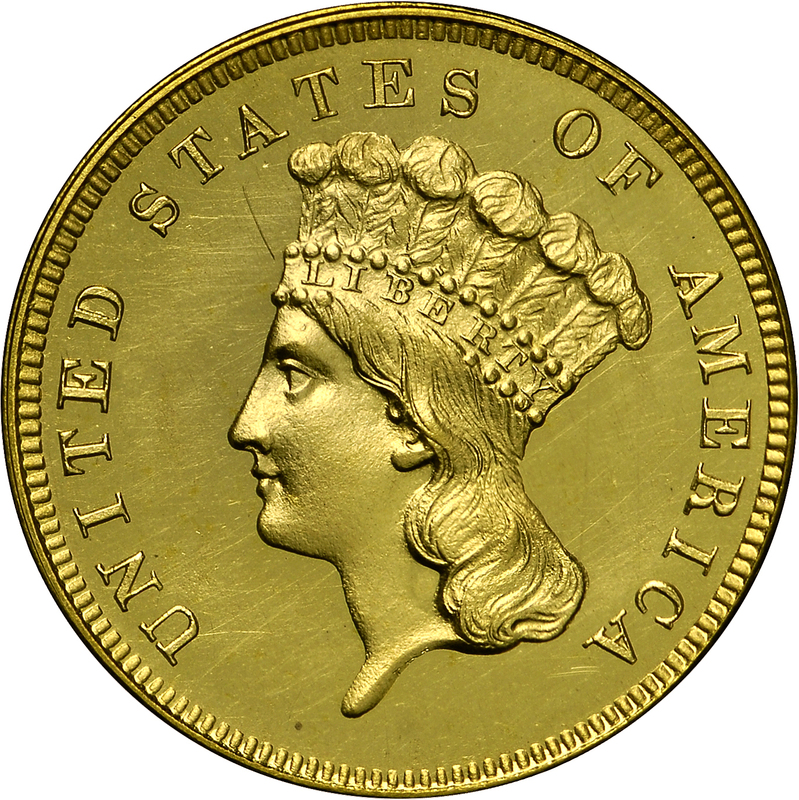 Although not quite as rare as earlier issues, the population remains very low with approximately 10 to 12 Proof examples known, including examples in the Smithsonian Institution and American Numismatic Society.